Moonshot is South Korean pop manufacturer YG entertainment’s beauty arm. And like the others, it has caught on the cushion compact trend. Obviously, Moonshot is banking on the cushions to up the popularity of the brand. A little re-cap on compact cushions: they pretty much work like a stamp ink pad. So you can do quick touch-ups with liquid foundation on-the-go, and with no mess. It is now an entirely new category of base makeup, apart from the regular liquid, cream and powder foundations. Moonshot’s Microfit Cushion SPF 50+ PA+++ ($36) is available in three light beige shades. Lightweight with a satin-matte finish, it is made for light coverage or mid-day touch-ups. Pat and blend well with the sponge applicator for a flawless finish. 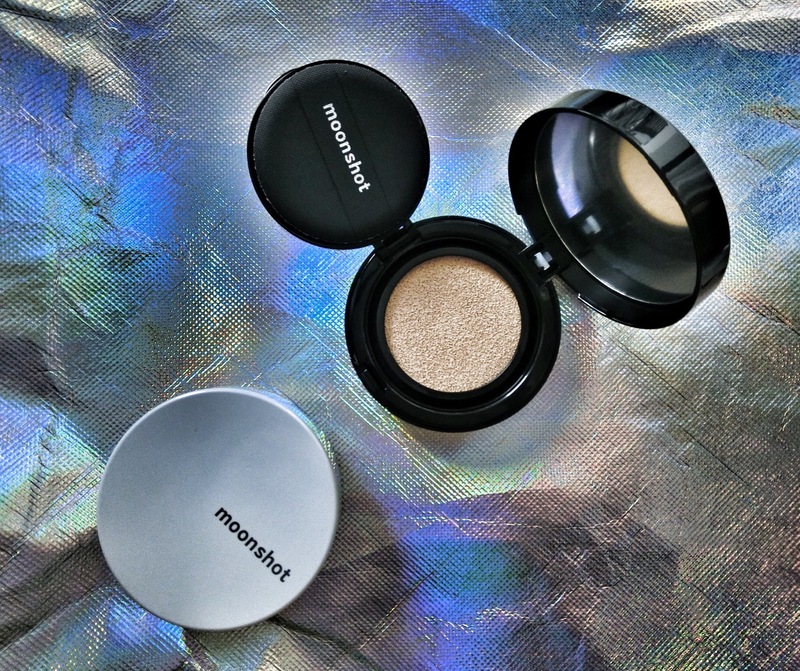 The Moonflash Cushion SPF 50+PA+++ is a pearlescent and sheer cushion highlighter. So just pat it onto the areas you want to brighten, such as the nose bridge, cheek bones, lip cupid area and collarbones. Or use it all over as a colour-correcting and glow-enhancing primer. I love how it has high sun protection as well; I don’t know any other highlighter out there that keeps the damaging UV rays at bay.